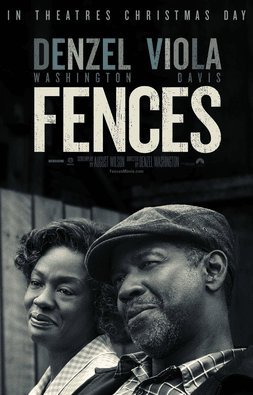 Chris Stuckmann reviews Fences, starring Denzel Washington, Viola Davis, Jovan Adepo, Stephen McKinley Henderson, Russell Hornsby, Mykelti Williamson, Saniyya Sydney. Directed by Denzel Washington. Troy Maxson (Denzel Washington) makes his living as a sanitation worker in 1950s Pittsburgh. Maxson once dreamed of becoming a professional baseball player, but was deemed too old when the major leagues began admitting black athletes. Bitter over his missed opportunity, Troy creates further tension in his family when he squashes his son's (Jovan Adepo) chance to meet a college football recruiter.